Deccan Rummy provides not only provides our players an awesome opportunity to play their favorite rummy card games on the desktop but on mobiles too. This is done to ensure players enjoy rummy action anywhere and at any time they wish. 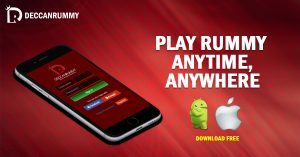 Just download Android apk or iOS version of our Deccan Rummy Mobile and experience rummy on the move! The convenience of playing online rummy has opened up lots of new interest in the game for people in India. Also not to forget that it has sparked a lot of innovations. The most important of that is the mobile app. With the advent of Deccan Rummy mobile, players now have the freedom to enjoy playing 13 card rummy game anywhere, anytime. Whether you’re playing for serious money or simply for entertainment, mobile rummy comes across as a genuine option. Inside the social gaming app, players will be able to enjoy a range of free and cash rummy games, including tournaments. With people getting really busy with their lives in the modern world, the ones who love to play card games are increasingly finding it difficult to find partners. Online Rummy has filled that space. With mobile rummy, the gap is further bridged. Now you longer have to sit in front of desktop or laptop. You can take the game along to wherever you move. Deccan Rummy’s mobile app is available for both Android and iOS platform and they are free to download. You can play anytime and from anywhere, all you need is internet connectivity. The visual design and game interface are very crisp almost resembling a live casino. The gaming interface is sleek and easy to use. With top class software backing up a phenomenal interface providing sublime gaming experience, Deccan Rummy Mobile makes for an excellent choice to play on notwithstanding your experience level. Our Mobile APP can be installed on your iPads, Android smartphones, and iPhones. Playing rummy online from your mobiles will take your game to the next level. Whether you’re sitting at the office or on the move traveling, you will not be far from the action with our mobile application. 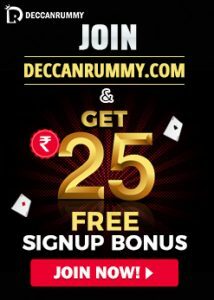 Players can download the Deccan Rummy Mobile from Playstore and APPstore for free! The distinguishing factors that set our Deccan Rummy APP from other mobile applications are the smooth user interface, exceptional features and hassle-free transactions, fast cashouts along with 24/7 support. And that’s why you should download our Deccan Rummy android apk now! 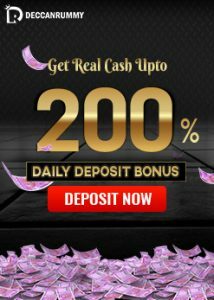 With exceptional offers like Pattaya Leaderboard 2018 and Pattaya party special tournament lined up, you can play them using our Deccan Rummy mobile. With just less than 2 weeks remaining for the end of leaderboard contest, make sure you spend the next few days to advance your position in our leaderboard – or atleast retain it. Play cash rummy games from your mobiles to increase your leaderboard points. Download Rummy mobile now! DeccanRummy.com is India’s premier rummy site offering 13 card rummy games. Developed by eminent rummy gamers themselves, it offers an ultimate gaming experience. With diverse rummy variants available for different skill sets and player levels, rummy on mobiles will never be boring. 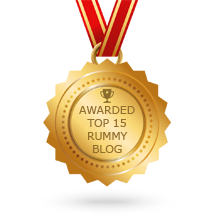 Refer our extensive materials about playing rummy online and learn the tricks of the game to become a champion rummy player. Road to Pattaya | Last 10 days! Play more to better your chances! IPL 2019 – SRH vs CSK – Predict and win double!